I'm a video gamer from way back. My first home console was a Colecovision and I've been hooked ever since. I love the media, industry, and culture surrounding video gaming and I want to contribute positively to my peers. I have a large game collection and I like to share the ways that I've solved different issues that this can introduce. I've done this primarily through my YouTube channel that you can find at youtube.com/topspot123. …with the cutest little Cappy! We’re getting eight toys here in the US, (not necessarily the same eight as other regions), and I look forward to getting them all! As posted by Larry Hryb. I have one of these games, so I’ll be sure to label the index. I had very similar points in a few of my blog posts but as he says “there is nothing new under the sun”. In other words, it’s nice to know that others with a knowledge of gaming history see how some ideas bubble to the surface multiple times until the right set of circumstances, technological or otherwise, allow for a successful implementation. Nintendo has never made a handheld that can connect to your TV and be played like a console. Instead, they kept making attachments to their home console that would play Gameboy games. Hudson made the Switch in 1990. It is called the TurboExpress. Here is the Japanese equivalent. Most cartridges didn’t contain unique electronics in them like the FX chip in Starfox or the chip in Castlevania III. 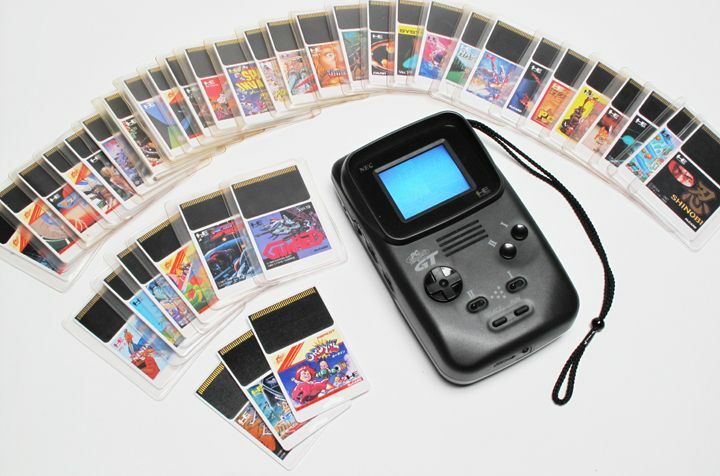 What many gamers are not aware of, since the Turbografx 16 was never mainstream, is that they used something called ‘Hucards’. They were like credit cards. They did not contain electronics, but they had the ROM image on them. On Tower Defense pt 1. Tower defense games are fun! Of those that I’ve put serious time into, my favorite so far has been Defense Grid. This genre seems to be pretty dormant these days, sadly. In my mind, even though there has been lots of variations and great games, there is only so many ways this genre can be presented. Even the new PixelJunk Monsters 2 is only receiving middling reviews.